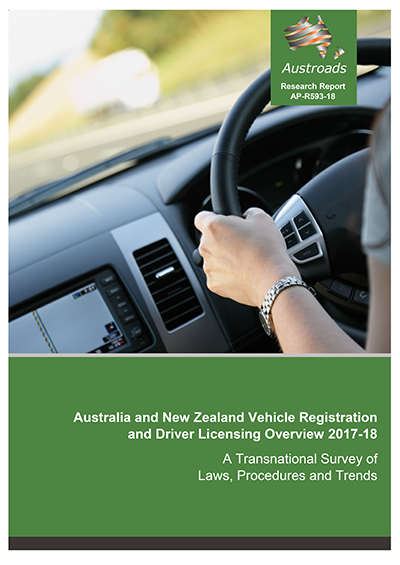 Austroads has published a comparison of driver licensing and vehicle registration practices by Australian states and territories and New Zealand which highlights the considerable progress made in harmonisation of registration and licensing regimes. The report was developed on behalf of all Australian and New Zealand registration and licensing agencies and includes: an outline of the road safety imperative in Australia and New Zealand; a description of the key practices associated with the vehicle and driver licence pathways; and a focus on the major areas of difference between in the jurisdictions. The publication aims to improve regulatory and service delivery policy, planning and coordination, with the overarching objective of improving road safety across Australia and New Zealand. It will help road and traffic agencies understand how other jurisdictions are responding to ongoing policy and operational challenges, inform better policy development by all Austroads members, and assist discussions in transnational taskforces and forums. The publication will also help other stakeholders—including other government agencies, peak bodies, research organisations, industry participants and the general public—to understand the practices and policy directions of Australian and New Zealand road and traffic agencies.